Iron Maiden shows are not just concerts. They are events. If you are in attendance to see an Iron Maiden concert, you are in for quite the treat. Janick Gers's guitar acrobatics, a plethora of memorizing backdrops, and an appearance by a ten-foot rendition of the band's mascot Eddie ensure that you are definitely getting more than just an average rock concert. 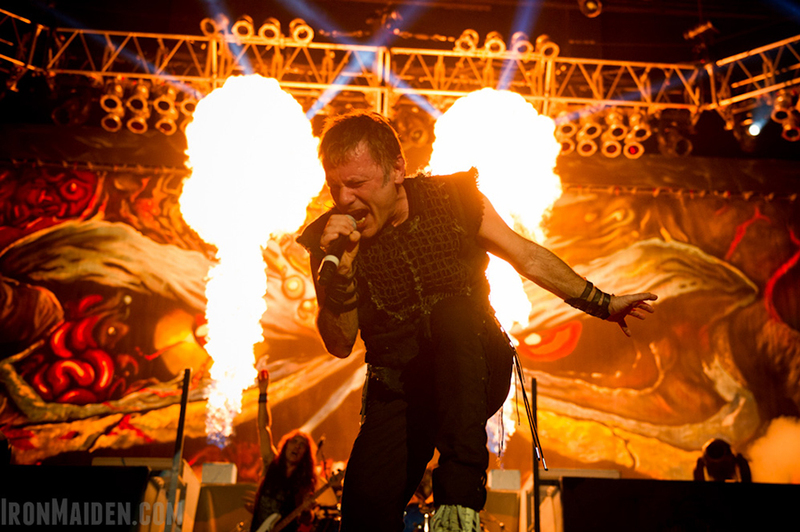 Iron Maiden kicked off the second leg of their Book of Souls World Tour this past month. It is a colossal tour that is sure to be one of their best ever. It got me thinking; what is the best Iron Maiden tour? What is the worst? If you allowed me to steal a time machine, I would go to every tour Maiden has ever done, but which would I visit first? I have put together a simple way to rank the tours based on four categories of Theme(the appearance of the stage, backdrops, and Eddie), Setlist, Historical Significance(how the tour has stood the test of time), and Recordings(the quality of the band's performance on the tour and the live albums, if any). Scores will be on a scale of 1-5. Without further ado, here are all 21 completed Iron Maiden tours ranked! The list starts off with Iron Maiden's 1992 tour. The overall concept of the tour was unappealing and the onstage Eddie was one of the worst in history, of course what do you expect when the tour is in support of Iron Maiden's worst album cover? The tour features a lackluster setlist. Only 5 of the album's 12 songs were played live, This was a mistake. The only reason I did not give the recordings a flat 1 is because this tour produced Live At Donington, which is a pretty good live album. All of these things together make for the worst Iron Maiden tour in history. 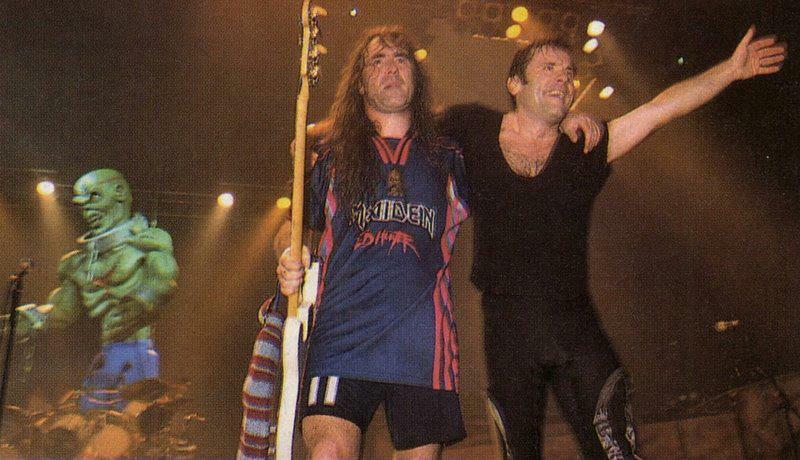 Iron Maiden barely bettered their '92 performance with 1993's A Real Live Tour. The tour is famous for being Bruce Dickinson's farewell tour from the band. That is what scores it such high historical significance. Bruce Dickinson was accused of not giving 100% on different nights of the tour by his bandmates. This is evident on many of the bootlegs that exist from this tour. The band members, especially bassist Steve Harris and drummer Nicko McBrain, were furious that it seemed like he was not even trying on some nights. Some of the bootlegs reveal rather laughable performances put on by Bruce. In one show in Torino, Italy, Bruce stops singing mid-way through "Prowler" because a fan is spitting on him, and Steve Harris begins singing the lyrics instead. It seems like a rough time for the band, and as I have mentioned before it really interests me and needs to be properly covered on History of Iron Maiden Part 4! The spitting incident can serve as a precursor to a more well-known incident involving Blaze Bayley in 1995. This mini 2003 tour was only 56 shows and preceded the Dance of Death World Tour. It was what the Ed Hunter Tour was to the Brave New World Tour; a short greatest hits tour to keep fans happy before the album dropped. This tour was largely in support of the compilation album Edward the Great and the music video DVD Visions of the Beast. The theme resembled the album cover and looked pretty cool. The setlist contained most of the album's material and other Maiden favorites, so nothing to complain about. All of this creates a pretty uneventful tour. It's not likely that this will be remembered as a landmark Maiden moment. The inaugural Iron Maiden tour kicked off in support of their eponymous debut album from 1980. Maiden had of course toured before, but this was their first official album tour. They visited many European countries for the first time such as Finland, France, and Germany. It was the beginning of what would end up becoming a beautiful touring career. That being said, the show itself was lackluster compared to modern Iron Maiden tours. The raw energy and aggressiveness of the young band was all there, and I love that. What it is missing is everything we see in a Maiden show today like Eddie, the on-stage antics, and the epic songs. That brings me to my next point that at this time Maiden did not have their best material ready to play and because of this the tour looks rather amateur compared to say the Book of Souls World Tour. There are several bootlegs out there of this tour, and even a live video from April 14, 1980 at the Ruskin Arms that display the early days of Maiden's presence. This tour hurts me a bit to put so low. I often say how much interest I have in 1990s Iron Maiden because of the obscurity surrounding the era, but even I have to succumb to the ugly truth of the time; that truth is that it was a decline for Iron Maiden. The No Prayer On The Road tour saw a different approach to Maiden touring than was seen in the late 80s. 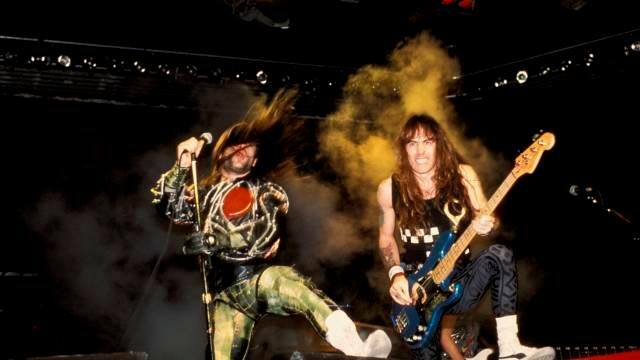 Iron Maiden were recognized as a live force with their theatrics, but stripped it all down for the 1990 tour. There are positives and negatives to this. On one hand it lets the music do the talking and allows no distraction. On the other, it disallows the grand show that Maiden were so used to putting on. 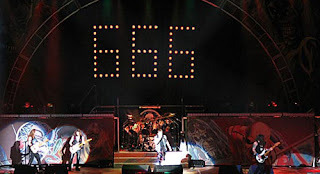 The setlist was mainly focused on the newly released No Prayer For the Dying and Maiden's most famous work The Number of the Beast. I really appreciate them dedicating themselves to playing the album to show that they are no novelty act, but I wonder why there was not more emphasis placed on the Seventh Son of a Seventh Son or Somewhere In Time albums. 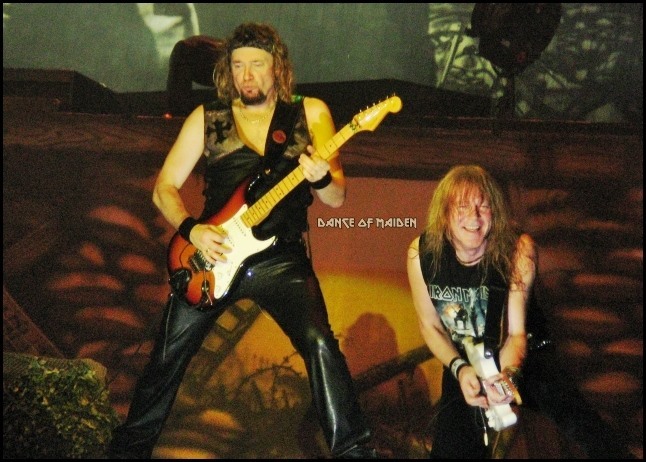 The only real significance with this tour is that it was Janick Gers's first tour with the band as the replacement for guitarist Adrian Smith. The recordings of this tour are inconsistent. On some nights the band kill it, while on others they sound sub-par. According to a teamrock quiz this tour was "recorded for a triple-live album but never released." I have never seen any evidence to back this up so I call them out for it as a lie. Many fans were judgmental of Janick's performance on this tour, so a live album would probably have dispelled their claims, or maybe made it stronger who knows. What? The two Blaze Bayley tours are not the last two? Why yes, I am a Blaze supporter so you will not hear me bashing his time in the band any time soon. However, 16th is the best this 1998 tour can do on my list. Blaze Bayley joined Iron Maiden after vocalist Bruce Dickinson departed in 1993. Bayley recorded two ablums with Maiden, The X Factor(1995) and Virtual XI(1998). Fan feedback on the albums was mixed and largely negative, but Maiden's strong suit is their live act so the tours would prove to dispel any discrepancies with the albums. There are several things that differentiate this tour from the other Blaze tour, The X Factour(1995-1996). The positives have to be the recordings and certain parts of the setlist. 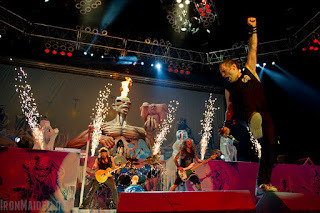 Blaze was criticized on The X Factour for not performing Maiden classics such as 'The Trooper' or 'Wrathchild' very well. This was to be expected as his vocal style is much different from that of Bruce, or even Paul Di'anno. However, Blaze was able to adjust and sounded a lot better on this tour. The setlist added most Virtual XI material and it all worked well live, with the exception of 'Don't Look to the Eyes of a Stranger', which if you want to read my rant about that song go here. My main regret with this setlist is that it goes away from The X Factor. There are only 3 songs from that album that were regularly played on this tour and that was a mistake. Maiden should have made more of an effort to feed people the Blaze material so they could go "Oh okay, that sounds cool." People are more inclined to enjoy something if it's screaming 120 decibels in their face. The only real significance with this tour is that it is Blaze's final with the band, and even that is an afterthought to most people. The final Iron Maiden concert with Blaze Bayley at the helm was in Buenos Aires, Argentina and was pro-shot. It can be seen on YouTube at any time. Iron Maiden took an interesting approach to their 2010 tour. In support of The Final Frontier, the band opted to play mostly new material (2000-2010), rather than be regulated to classics. The fan reaction was mixed as many fans were upset to not hear their favorite songs from albums such as Piece of Mind or Powerslave. I support their decision on this as it shows that this band is always moving forward. I only did not give the setlist a better score because they chose to turn back on their ways for the 2011 leg of the tour and played a few more of their commercial songs. The theme on this tour was quite literally out of this world. The band incorporated the space theme from The Final Frontier and turned the stage into an over-the-top sci-fi fest. Personally, the alien theme is not that cool to me, but a lot of people enjoyed it. The live album from this album, En Vivo, is an amazing piece of work and is a classic Maiden recording. 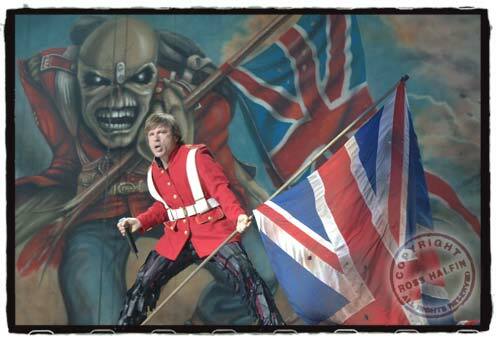 In 2005, Iron Maiden embarked on the first of their "history" tours. 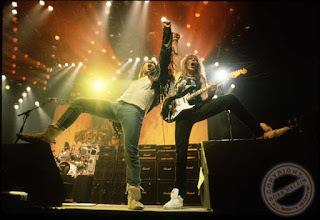 The tour was in place to celebrate the release of Iron Maiden's colossal documentary, The History of Iron Maiden - Part 1: The Early Days, which covered the band's history from 1975-1983. Material from the four albums from this era, Iron Maiden(1980), Killers(1981), The Number of the Beast(1982), and Piece of Mind(1983), were played exclusively making this tour a true makeup of classic Maiden material. It was a noble effort and the stage for the album looked awesome, bringing back many of the themes from the first two albums, namely Killers. The setlist was alright, but it was clear that most songs from the Paul Di'anno era(1978-1981), were not suited for Bruce Dickinson's voice. It also upsets me that they did not take full advantage of the arsenal they had at their disposal from the first four albums. Those four legendary masterpieces have 37 songs on them, including Total Eclipse on TNOB, and yet the band played the same 17 songs on all 42 shows of the tour, the only time they altered it a bit was when 'Charlotte the Harlot' was played on two dates. There are 19 songs from those first four albums that got absolutely no recognition on this tour and that is just absurd. Granted, a few of the songs like 'Gangland' and 'Sun and Steel' had never been played live so there was no point of debuting them 20 years later, but there are several songs who absolutely should have made their way onto the set such as 'Flight of Icarus' and 'Killers'. Whatever the reason to not include those classics, it made the setlist suffer. I don't see this tour holding any weight historically, unless Maiden decides to do a history tour of their history tours in the future. Maybe then we can finally hear 'Killers' live. 2006 saw the release of Iron Maiden's 14th studio album, A Matter of Life and Death. AMOLAD, as it is often abbreviated, is one of the most progressive sounding albums the band has released, the songs' subject matter revolves around typical Maiden topics of war and religion. 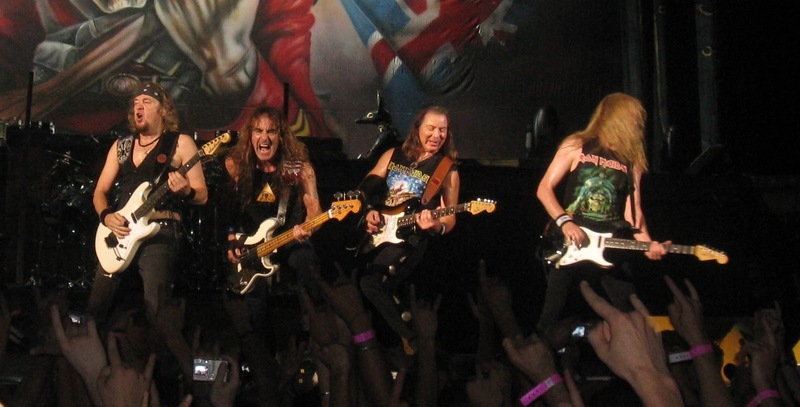 Iron Maiden could not decide on what songs to cut out from the setlist and opted to play the album in its entirety for the 2006 leg of the tour. This received mixed feedback from fans who were either happy at the venture or upset that classics were not played. From the point of view of someone who did not have the chance to see this concert, I really admire their effort of playing the whole album. I can see the argument from those who want to hear 'The Trooper' or '2 Minutes to Midnight' for the 1000th time, but Iron Maiden has always made an effort to play their new material and I respect it. The stage set up was absolutely brilliant for this tour. It was covered in World War I inspired material and was an amazing spectacle. Unfortunately, this tour was not documented on DVD and was sandwiched in between the Eddie Rips Up the World Tour in 2005 and the colossal Somewhere Back in Time World Tour in 2008, so its chances of being remembered are slim. 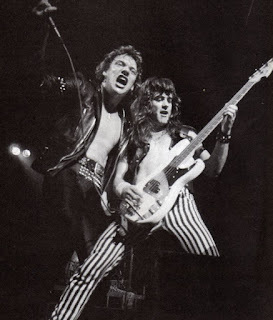 By the time Iron Maiden recorded their second album, Killers, in 1981, most of the material had already been played on the road in the early days of the band's touring. The Killer World Tour was mostly a rehashing of the Iron Maiden Tour in 1980 with only three songs being added to the set. 'Genghis Khan', 'Killers' and 'Murders in the Rue Morgue' are those three songs. The latter two are some of the best songs Iron Maiden has performed live. The setlist was literally killer, but suffers the same problem of the last tour of not having all of Maiden's material to work with. Some of our more knowledgeable readers might note that 'Killers' was written and performed during the Iron Maiden Tour, but that was in its primitive form not the exact version we hear on the album. The released live recording of this tour, Maiden Japan, is great and displays the power of this band in their early stage. 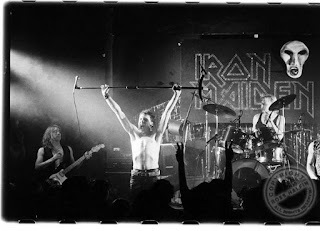 In the middle of this tour, it became clear that the band had to move on from vocalist Paul Di'anno. His repeated drug use and deteriorating commitment to the band harbored his release from the band. 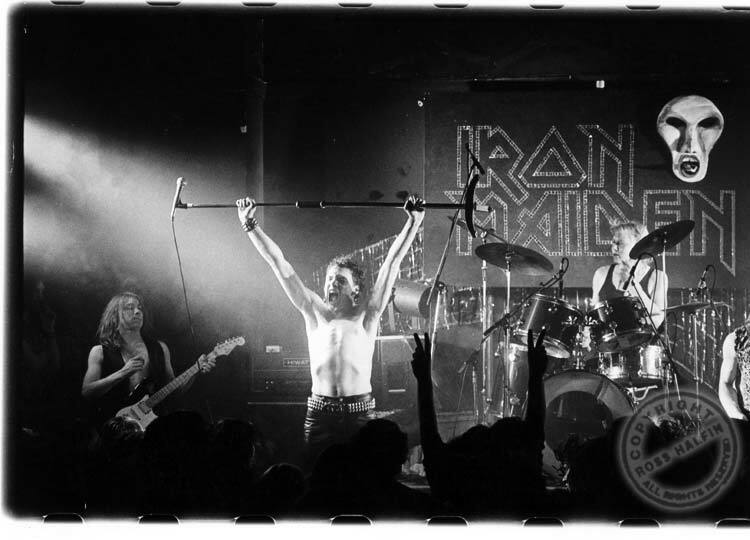 Paul Di'anno played his last show with Iron Maiden on September 10, 1981. As they say, the show must go on, Maiden had to regroup and get someone to fill the shoes of Di'anno. In his place came Samson frontman Bruce Dickinson who would play five dates in Italy with the band and two more in England as a "warm-up" tour to welcome the fans to the new incarnation of the band before their next album came out. Bruce Dickinson played his first show with Iron Maiden on October 26, 1981. The Dickinson project was a success and the band soon became one of the biggest heavy metal bands of all-time. The tour was also guitarist Adrian Smith's first full tour with the band. Things were looking up for this band on the brink of making it big. In 2012, Iron Maiden ventured on the third of their history tours. This time, they were reviving the Seventh Tour of a Seventh Tour from 1988. The main focus was the recreate the Maiden England live video from that tour. The band pulled it off well. The stage set was even better than it was on the '88 tour and the band sounded great playing a few songs that had not been played in decades. The setlist was good, but was a missed opportunity in a few places. The decisions to bring back 'The Prisoner' and 'Moonchild' were delightful. But the band's exclusion of Maiden England classics like 'Infinite Dreams' and 'Killers' were absolute mistakes. I also can not believe they left 'Fear of the Dark' in the setlist, even though that song came out in 1992; four years after the tour that this one is based on! The only random song in the setlist was 'Afraid to Shoot Strangers', a song that also was from 1992! The same reason that Eddie Rips up the World Tour will see no significance plagues this tour. It was an awesome show that I regret not seeing every single day of my life. When Iron Maiden departed from their longtime vocalist Bruce Dickinson in 1993, they knew they had to replace him with a worthy adversary. They found their man in former Wolfsbane frontman Blaze Bayley. With Bayley in the band, Iron Maiden was ready to take on the world with a new form and new sound. 1995's The X Factor burst onto the scene and received poor reviews from fans who were not ready to move on from Bruce Dickinson. Maiden had an uphill road ahead of them, and a 128 show tour was the way to cure any negative connotations about the band. The theme of the tour was perhaps the darkest Maiden ever had. 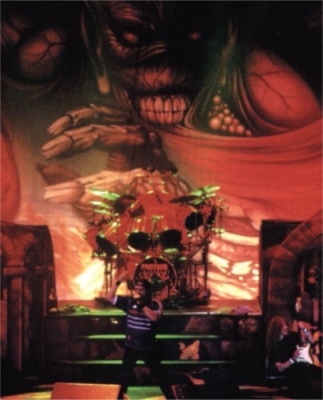 The show featured a giant rendition of Eddie that appeared behind the drum riser strapped to an electric chair. As the song progressed, Eddie would be electrocuted. It was a dark stage theme that was synonymous with the band at the time. The setlist was composed of Maiden classics and material from The X Factor. Blaze's performance of Maiden classics such as 'The Trooper' and 'The Evil That Men Do' was largely criticized and it was clear he did not have the same vocal range as Bruce Dickinson. On The X Factor songs was where Blaze shined brightest. He was also surprisingly great on 'Afraid to Shoot Strangers' from 1992's Fear of the Dark. It is the only Bruce song that Blaze sings better in my opinion. Hopefully Iron Maiden decides to give this tour and era its due when revisiting their 90s history in the future. In 1982, drummer Clive Burr was let go by the band in favor of "madman" Nicko McBrain. With McBrain in the band, Iron Maiden had their most stable and successful lineup of the 1980s. The band recorded Piece of Mind in 1983 and it quickly went platinum in several countries. Maiden's stock was rising, and they took their show on the road for the World Piece Tour. The theme of the tour was largely simplistic and I am not too fond of the checkerboard flooring that stood beneath them for most of the tour. The setlist has to be one of the best Iron Maiden ever had on a tour, especially since it was the only tour where 'To Tame a Land' was played. 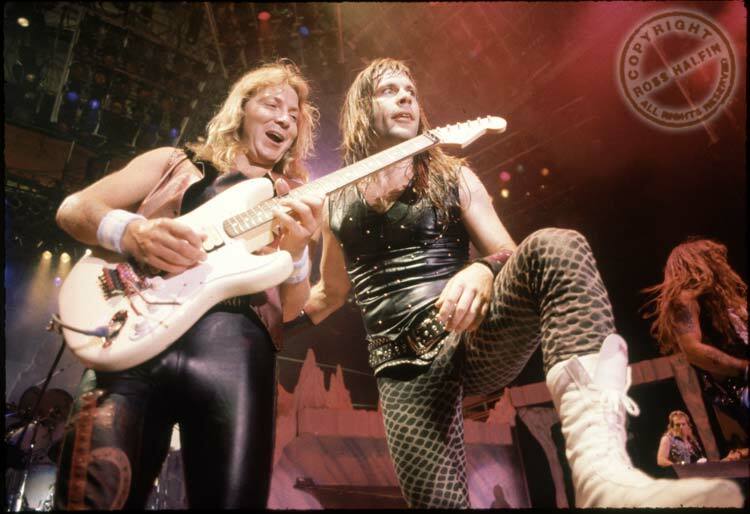 This tour lives deep in Iron Maiden lore due to the final night of the tour in Dortmund, Germany where Bruce Dickinson and Dave Murray subject to "killing" Eddie on stage by tearing his brains out and smashing him with guitars. Maiden sounded terrific on this tour, and it is definitely a classic that will be fondly remembered for years to come. 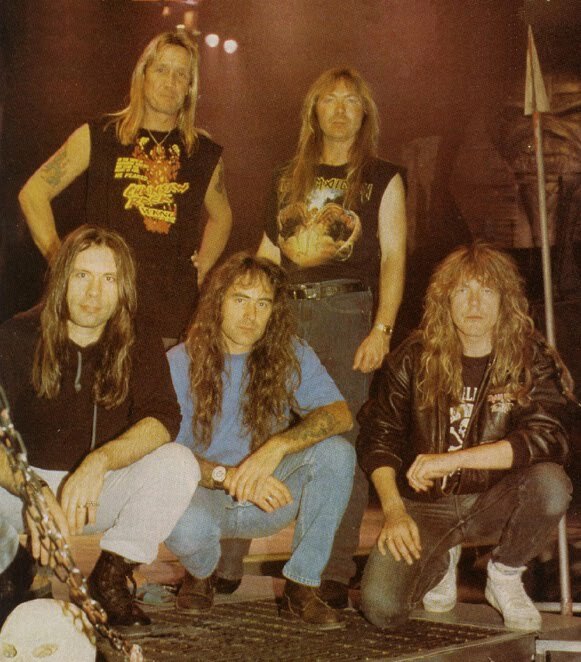 After the release of their 13th studio album, Dance of Death, Iron Maiden embarked on a 53-date tour that was seen as a part two to the "Give Me Ed" tour. Personally, I think this tour deserved to last longer than it did. The amazing spectacle of this tour was the biggest Maiden had done at the time. Eddie was dressed as a grim reaper and the whole thing was an over-the-top masterpiece. You have to remember that this is in support of one of Maiden's worst album covers, so for them to pull off the aesthetics that they did is astounding. The song 'Journeyman' alone made this an awesome setlist. However, 'No More Lies', 'Rainmaker', and 'Lord of the Flies' were also great additions. The latter song was the last Blaze Bayley era song to be performed by the band to date. The live album from this tour, Death on the Road, was brilliant and the band sounded amazing. This is a great tour that almost feels underrated in Maiden's history. Many fans awaited the return of vocalist Bruce Dickinson from the moment he left in 1993. After six years, four solo albums, and a new haircut; Bruce Dickinson was back in Iron Maiden. Not only was Bruce back, but so was former guitarist Adrian Smith who left in 1990. Rather than kick his replacement, Janick Gers, from the band, Maiden opted to keep Janick and Adrian, along with longtime member Dave Murray to give the band three guitarists, a feat rarely seen in metal/rock music. All the commodities were set, and it was clear that this was to be a huge event for any Iron Maiden fan or any metalhead in general. The band hit the stage as a reunited six-piece for the first time on July 11, 1999 and it was clear that the chemistry was back between the band and good days were ahead for the band. The setlist was made up of songs voted on by fans as the best Iron Maiden songs, so obviously it was awesome. This tour served as a great omen for what the 21st century would be for the band. 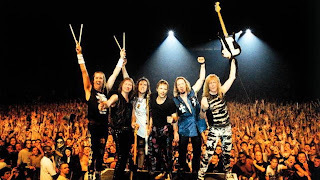 After 1999's Ed Hunter Tour debuted to the world what Iron Maiden was set to be for the 21st century, it was time for them to hit the studio for a new album. The result was the band's 12th studio album, Brave New World, which hit the scene in 2000 and quickly went gold in several countries. The ensuing tour, the Brave New World Tour, kicked off in France and was a stunning show. A giant Eddie appeared during 'The Evil That Men Do' that looked like a big wicker man, a reference to the album's lead single 'The Wicker Man'. The setlist was one of Maiden's best, featuring 10 of the 12 albums they had at the time, only omitting Somewhere in Time and No Prayer for the Dying. 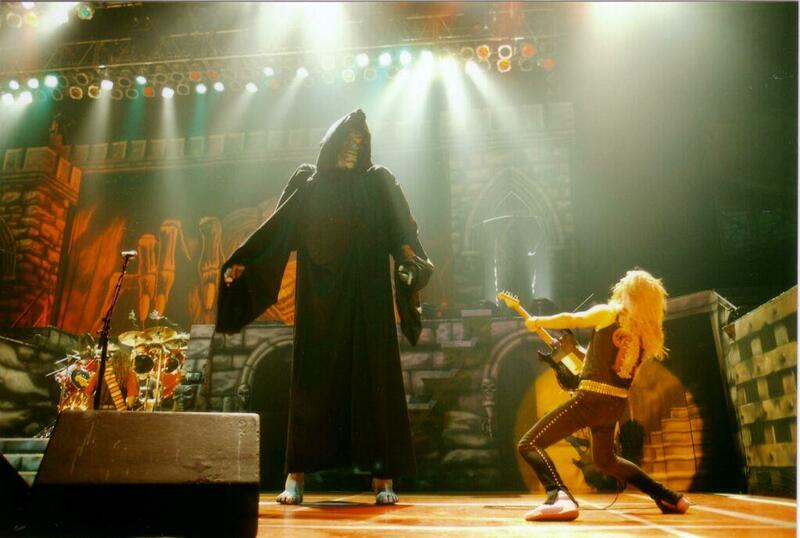 This tour was the beginning of Maiden's climb to become metal legends. 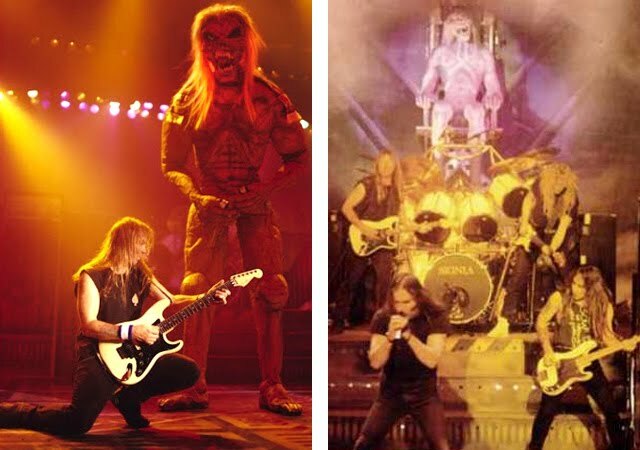 The 1990s had been a tough time for Iron Maiden, but it was clear that the 2000s would be much different and their legacy would shoot into the stratosphere, and all the way into space in 2010. The live album from this tour, Rock in Rio, is my favorite Iron Maiden recording of all-time and features some of the best performances of Maiden classics 'Run to the Hills', 'The Wicker Man', and the best live performance ever with 'Fear of the Dark". It's a great tour that should have squeezed its way into the Top 5 but oh well. My only grudge with this tour is that the name is not "Brave New Tour" instead of "Brave New World Tour". 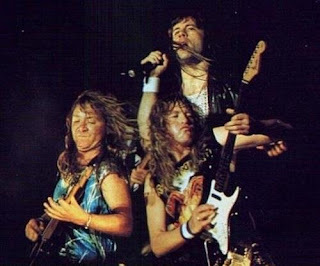 Iron Maiden added vocalist Bruce Dickinson in late 1981 after departing with Paul Di'anno. They quickly hit the studio to record their 3rd album, The Number of the Beast, which would go on to become their most popular album and one of the most iconic metal albums of all time. They hit the road to promote the album and put on one of the greatest tours in their history. The overall dark-devil theme from the album made its way to the stage and looked amazing. The choice to open the tour with 'Murders in the Rue Morgue' was one of the best in the band's history. The rest of the set was spectacular and the decision of playing 'Total Eclipse' was a pleasant surprise. Although, I have always questioned why they never chose to play 'Invaders'. This was the first full tour with Bruce Dickinson at the helm and coincidentally the last tour for the man somewhat behind the scenes. Drummer Clive Burr left for personal reasons after three albums and many great memories for the band. 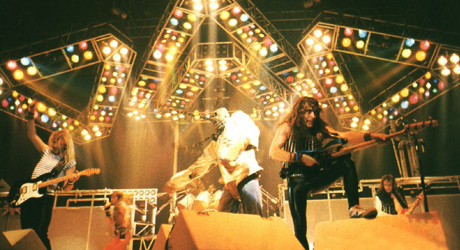 The Beast on the Road was a big step for Iron Maiden as they made their way to the top of the metal world. One of the biggest flukes in Iron Maiden history is the disrespect that this tour and album get. Somewhere in Time is one of the best albums Iron Maiden ever released and the Somewhere on Tour is one of the biggest tours that Maiden embarked on. The band's 6th studio album, Somewhere in Time, featured sci-fi and time related themes on its album cover and songs. Those themes carried over onto the stage for this tour. The cyborg Eddie from the album cover came to life in the form of the 10-foot tall Eddie. Bruce Dickinson spent the first few songs adorned in 30 pounds of lights that resembled veins beating from a futuristic figure's heart. All of it was very tongue-in-cheek and inspired by the popular 80s film Blade Runner. The theme was excellent, but this tour's strong suit was its setlist. This was especially true on the early nights of the tour where the strength of Somewhere in Time's material was met with classic Maiden songs that were played no longer after this tour. The first gig of the tour in Belgrade, Yugoslavia saw Maiden play 'Loneliness of the Long Distance Runner' for the first and only time. Other odd appearances included 'Flight of Icarus' which made its final appearance in '86, and 'Rime of the Ancient Mariner' which survived the full tour but was not played for over 20 years afterwards. The band's decision to not record this tour, whose blame is at the hands of manager Rod Smallwood, is one of the biggest blunders in the band's history! The band sounded superb on this tour and it is an absolute shame that we do not have an official document of a great time in Iron Maiden history. First of all, the name of this tour is awesome. What else was Iron Maiden going to call their seventh tour that supported their seventh album, ingeniously named Seventh Son of a Seventh Son. 1988 was the zenith of Iron Maiden's popularity in the 1980s and they took full advantage of it by putting on a colossal show. The same stunning themes that were seen on the Maiden England World Tour(2012-2014) were seen in their original form on this tour. The setlist is perhaps the best Maiden ever had; definitely Top 2 if not number 1. I'll go ahead and give it the number one setlist on the select nights that the band played 'Die With Your Boots On', 'Killers', and 'Still Life'. Luckily, those songs were played on the night that this tour is most known for. This is, of course, the night in November 1988 that Iron Maiden recorded Maiden England at the NEC in Birmingham, England. That live album would go on to be one of the best the band recorded and would spawn the single 'Infinite Dreams'. The live video for the concert is also lauded because of its feel that the viewer is in the audience. This is something that bassist and director of the film Steve Harris had in mind when he planned it. This tour stands the test of time as one of Maiden's biggest to date. Iron Maiden's now infamous World Slavery Tour kicked off in August 1984 when Maiden went through a series of concerts in the eastern bloc, becoming the first major band to play "Behind the Iron Curtain". The band traveled through the USSR-controlled countries of Austria, Hungary, Poland, and Yugoslavia to debut the tour. The band's trip through the area would be documented in a short live video titled Behind the Iron Curtain. The band would trek through the globe for 11 months, in which time they played 187 shows in 331 days. This would take its toll on the band who were exhausted by the tour's end. This exhaustion would lead to Iron Maiden not releasing a studio album in 1985, the first year of the decade that this would happen. 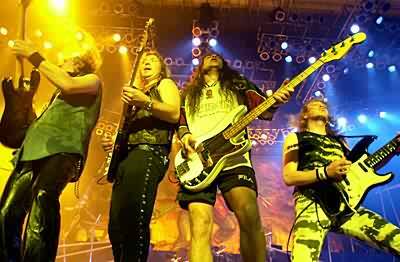 Maiden would not leave their fans hanging as in October 1985 they would realease Live After Death, the band's first proper studio album accompanied by a live video. The performance comes from the band's fourth consecutive night of headlining Los Angeles's Long Beach Arena, where they gained the distinction of becoming the first act to sellout the arena four consecutive nights. The highlight of the tour has to be the band's performance at the first Rock in Rio, where Maiden played to over 300,000 fans. That concert, among other things, is one of the largest reasons that Maiden gained such a following in South America, namely Brazil. The setlist of this tour was almost completely on point. The only thing that it lacked was a performance of three well-deserving songs. All eight songs on Powerslave are absolute classics, and yet three did not reach the stage. These three songs, 'Back in the Village', 'Flash of the Blade', and 'The Duelists' were never performed live but should have been. Other than those omissions, the setlist is great. The set is really backed up with the performances of 'Powerslave' and 'Rime of the Ancient Mariner'. Other Maiden classics made the cut like 'Murders in the Rue Morgue' and 'Phantom of the Opera' and just displayed Maiden at their best. 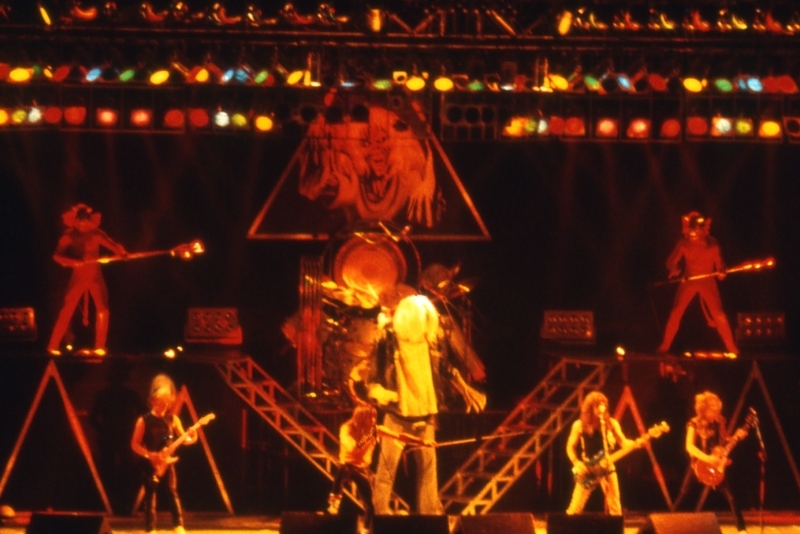 The band's stage design took a complete overhaul as the Egyptian themes and hieroglyphics from the album sleeve made their way on-stage. 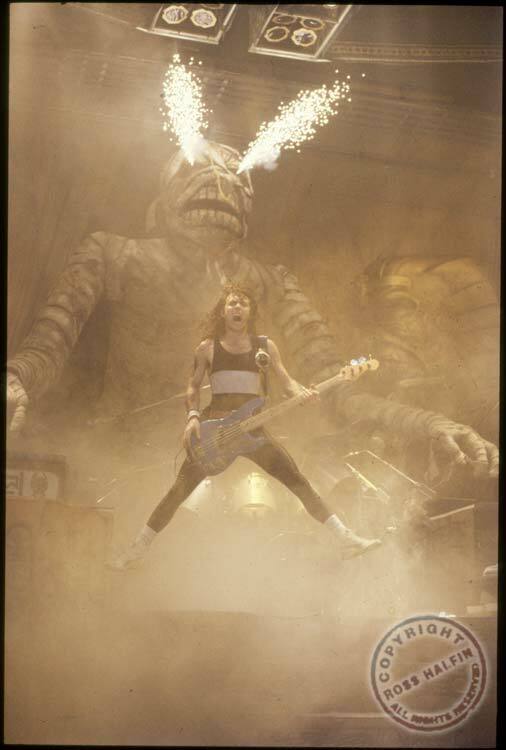 The mummified Eddie and ancient symbols looked great and solidified this as one of the greatest tours Iron Maiden ever did. It is not often that a band can reach the height of their popularity after thirty plus years of existing. It is not often that a band can perform at exceptional levels in their late 50s. It is not often that a band's personal airplane is piloted by the band's lead vocalist. Iron Maiden achieved all of these anomalies in 2008 when they embarked on the Somewhere Back in Time World Tour. The tour was in support of Maiden's compilation album Somewhere Back in Time, where Iron Maiden's best 1980s material was put on display. The band took themselves around the globe to play to their adoring fans in their own personal 757 airliner, named Ed Force One, that was amazingly flown by licensed pilot and vocalist Bruce Dickinson. The band in my opinion hit their peak on this tour. All six members sounded absolutely amazing. During the first leg of the tour, which saw the band play 23 shows in 13 countries across 50,000 miles, the band had a film crew follow them for the subject of a documentary film that would be released as Flight 666. The film was a huge success and showed the world that Iron Maiden was still a force to be reckoned with. 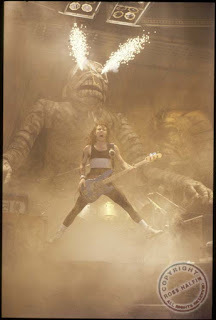 The film played a big role in recapturing Iron Maiden as one of the most well-respected bands of all-time. Iron Maiden had already solidified a large following as displayed by the film, but the documentary just put them off the charts! I know seeing this film for the first time as a young teenager who was not the biggest Maiden fan it definitely helped draw me closer to the band and its loyal fans. It was one of the first stepping stones to Iron Maiden becoming my favorite band ever, nay becoming my religion! The film had the same effect that Rush's Beyond the Lighted Stage, coincidentally also directed by Sam Dunn and Scot McFadyen, in building an entire generation of younger fans to appreciate and love the band. The theme from the World Slavery Tour(1984-1985) carried over to this tour and looked spectacular in its new form. The setlist is probably the best Iron Maiden has ever done. The 2008 leg featured all of their 80s classics such as "The Trooper', 'Wasted Years', and 'Runs to the Hills' while adding some songs that had not been heard in ages like 'Revelations', 'The Clairvoyant', and 'Powerslave'. The 2009 leg of the tour added 'Children of the Damned' and 'Phantom of the Opera' to the mix. This tour was all about giving the fans something they may have never witnessed in the 80s as many of the countries they visited was for the first time and a large portion of their audience is too young to have seen Maiden in that decade. This tour was a huge success and placed Iron Maiden on a pedestal that few metal bands have reached. So, there it is. The definitive list of Iron Maiden tours. If you have a list of your own, a complaint, or any combination of the two, give a comment and keep posted for the next post on Heavy Metal Mania!